Moderate conditions prevailed throught the day, giving sailors an opportunity to focus on boat handling, strategy and tactics rather than fighting to keep upright. But even though conditions were easier, the racing was still quite difficult. Almost no one had had a great day, especially in the Standard Fleets, where the top four sailors overall had at least one race finishing in the 20s or worse (bfd). 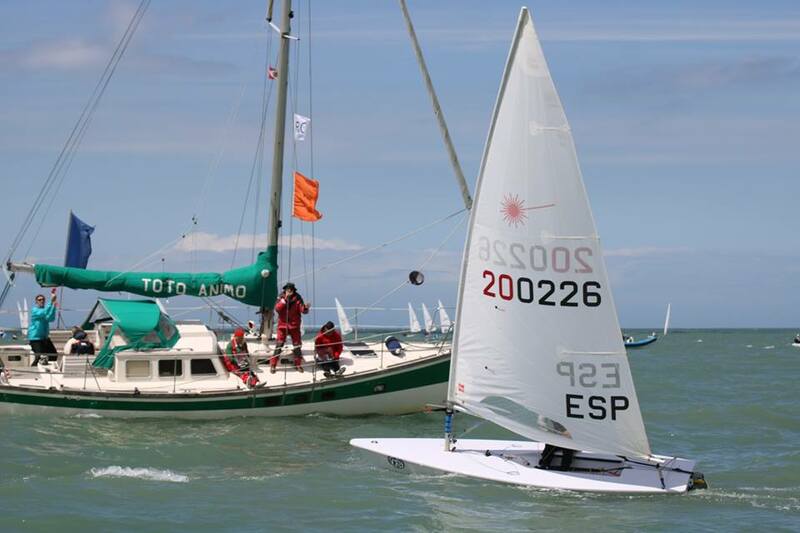 The leader in the Radials, Mária Érdi (HUN) also opened the day with an uncharacteristic bad race when she began with a poor start and then found herself well out of position on the wrong side of the course and could never recover, finishing mid-fleet. Another slow start in the second race might have been cause for concern, but she deftly maneuvered her way up the fleet with good boat speed and picking up the shifts so that she rounded the first mark in the lead and stayed there. Three races were scheduled, as Race Committee was looking back to a missed race from Day 1 and looking ahead to the seeming likelihood of very light winds for tomorrow. Although today’s preliminary forecast was for the moderate breeze to fade during the late afternoon, wind conditions remained quite good for all three races. 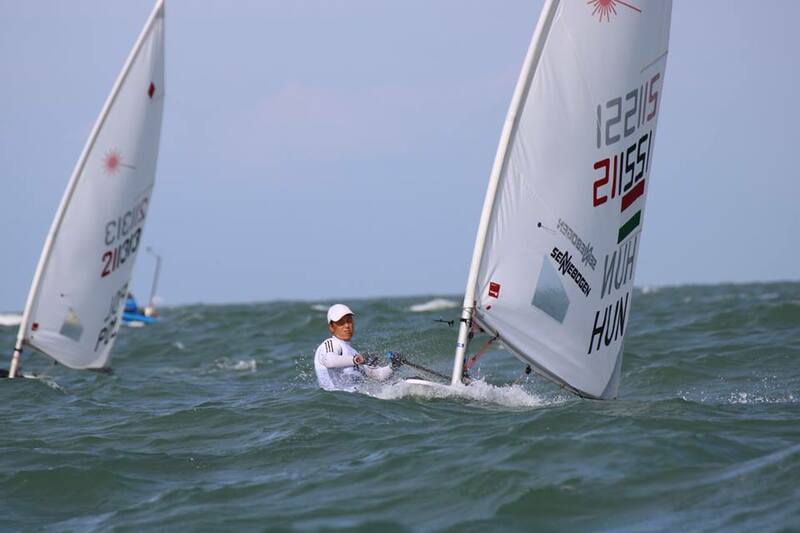 Hannah Anderssohn (GER) had a fine day, winning the first race and finishing 7th and 3rd in the other two races to move up to 2nd place in the overall standings. But she is NOT looking at the results, she says, and is just trying to focus on sailing well. There may not be an opportunity to catch the fleet leader, but Hannah will need to continue to sail well to hold off a handful of other Radial sailors who are not far behind. Magdalena Kwasna picked up two second place finishes today and is now back in the top 5. In the Standard fleets, outside of their one bad race each, Joel Rodriguez Perez (ESP) and Jonatan Vadnai (HUN) both continued to separate themselves from the rest of the group with the Spaniard, after discarding a BFD on the day’s middle race, putting another point between himself and the Hungarian. 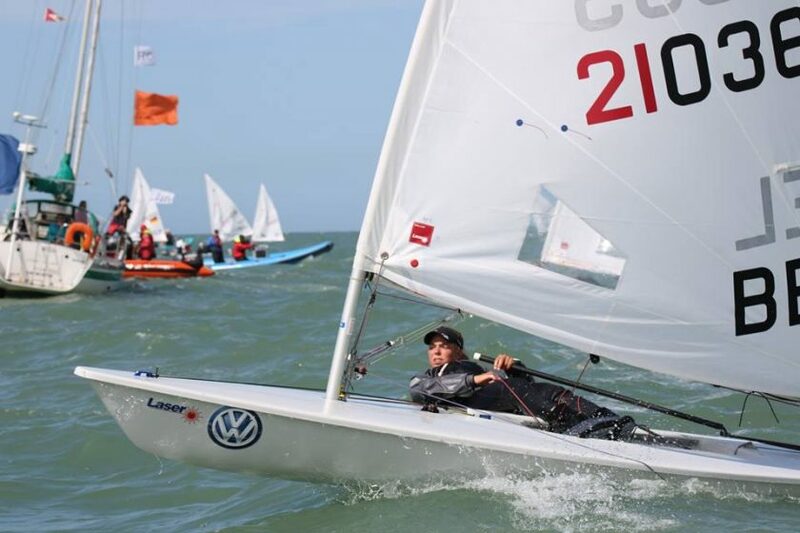 Daniel Whiteley continued his hold on third overall with two third place finishes (and, like so many other sailors on the day, a race to be discarded). Philipp Loewe (GER) moved back up, to 4th in the standings. There are six sailors separated by a total of six points, all trying to remain in the top 10: Berkay Abay (TUR), Henry Marshall (USA), Max Wilken (GER), Jack Cookson (GBR) and Fillah Karim (CAN). It was clearly a challenging day across all fleets with sailors returning to the harbor tired, in a different way perhaps than the day before, but tired nonetheless. They were greeted by an enthusiastic team of volunteers who helped retrieve trailers and pull boats up the launch. Even the KYCN Commodore lent a helping hand to the effort. 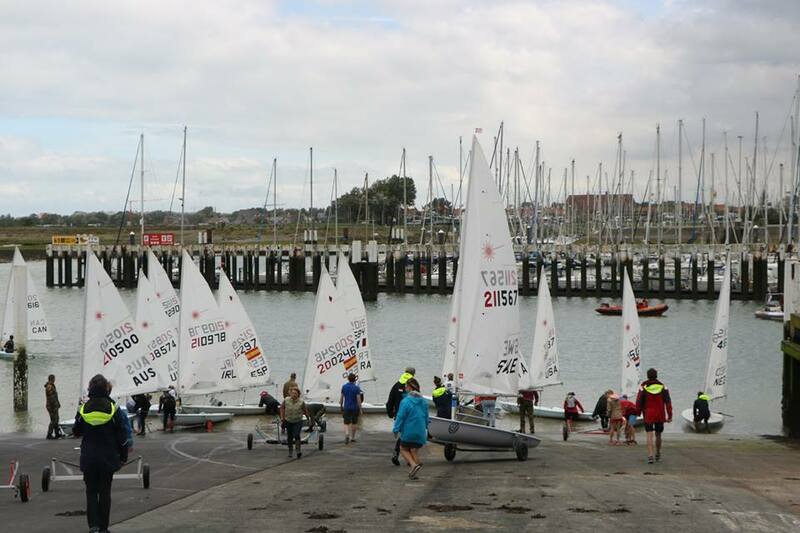 Although sailing doesn’t necessarily lend itself to being a spectator sport, there have often been daily crowds near the ramp enjoying the spectacle of so many boats quickly getting in and out of the water.